You will receive an email with your receipt shortly after completing your payment. 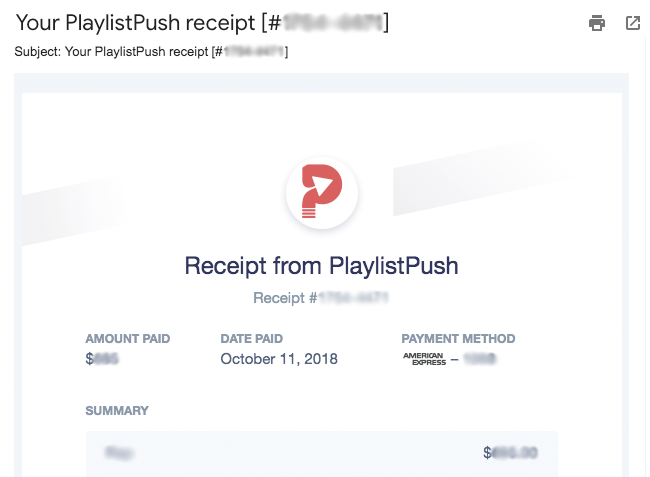 You will receive an email from stripe.com with the subject line "Your PlaylistPush receipt [#campaignID]". 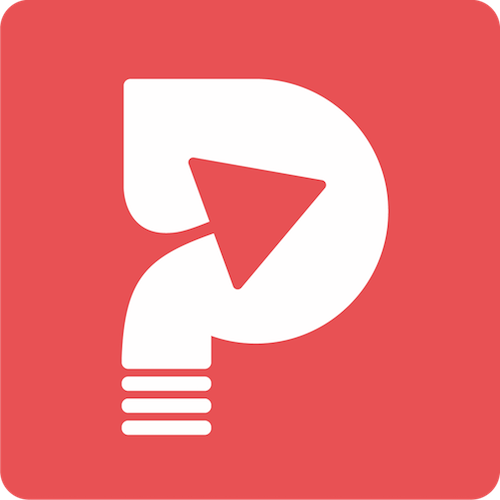 Sample Email is below. 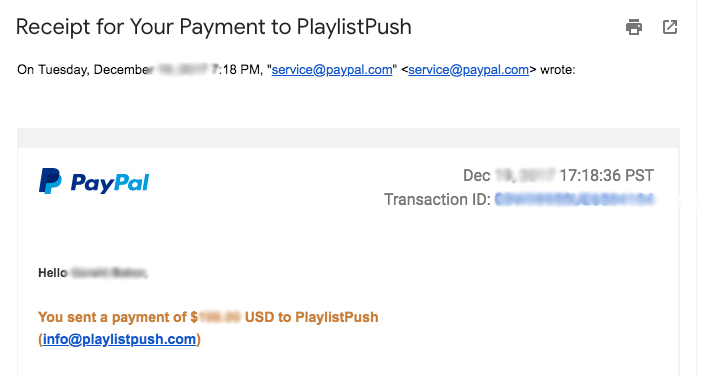 You will receive an email from paypal.com with the subject line "Receipt for Your Payment to PlaylistPush". Sample Email is below. Please see the article below if you require an invoice with more details. Can you send an invoice for my campaign?